As we’ve written several times, most leading optics manufacturers have lately decided to replace or extend their offer of ultra wide angle lenses. 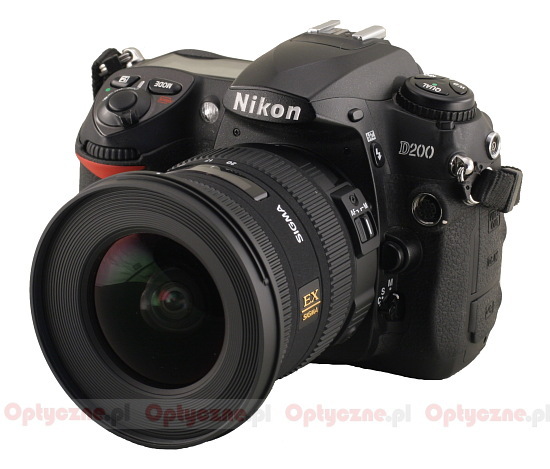 Nikon, already having a 12-24 model, introduced a 10-24 mm. Tamron replaced a weak 11-18 mm with a much better 10-24 mm. Tokina added 11-16 mm f/2.8 to the 12-24 mm lens. Olympus wasn’t idle either, already having something for people with affluent wallets (we’re talking about 7-14 mm f/4.0), introduced a much cheaper 9-18 mm model. Canon and Sigma seemed to have the least reasons for any changes in this segment. The former introduced on the market right away a very good 10-22 mm model, which is still capable of fighting off its competitors. 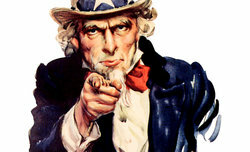 Sigma had in their offer a very good and popular 10-20 mm f/4.5-5.6. The company seemed to be plagued with weak brightness, which started to unfavorably distinguish it from the competitors. That’s the most probable reason for deciding to introduce a lens of the same parameters on the market, but with constant and good for its class speed f/3.5. 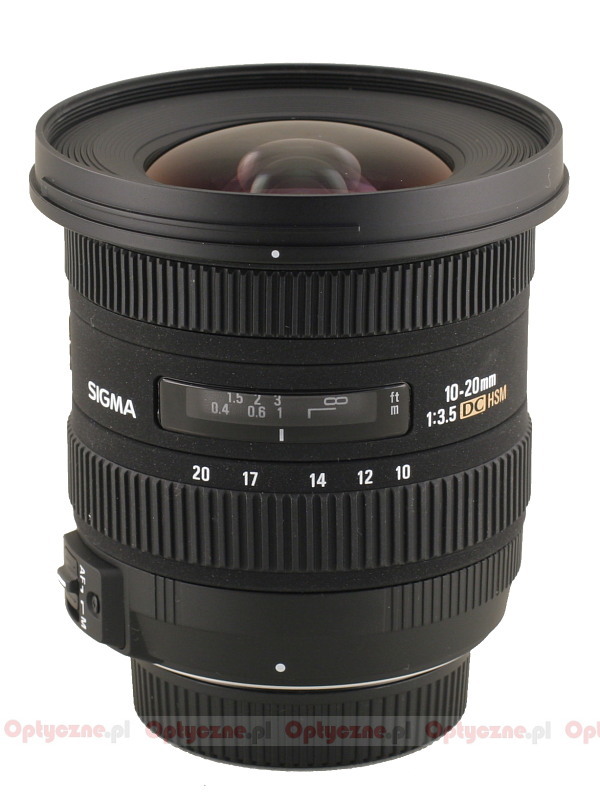 Thus, Sigma and Tokina have currently two brightest lenses among ultra wide angle zoom lenses designed for small sensors. As most novelties in this equipment class have already been tested by us, the time has come for the Sigma, whose premiere we wrote about in March 2009. 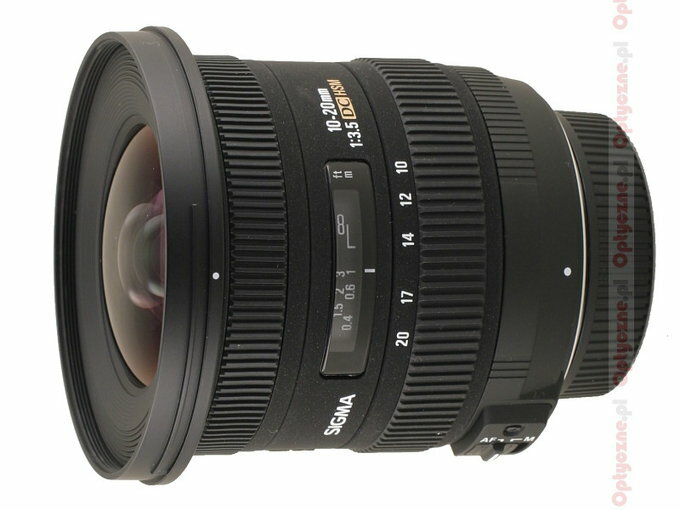 Normally, Sigma lenses are borrowed from their official distributor, i.e. K-Consult. The company professionally approaches our orders and instantly brings us ordered equipment for testing, whatever the price of the lens, be it less than a thousand, or several thousand PLN. This may engender fear, among more suspicious Readers, that K-Consult may specially select lenses for tests. To separate from this, in the case of the new Sigma 10-20 mm we’ve done something different. This time the lens has been borrowed from Cyfrowe.pl, i.e. a shop we constantly cooperate with. The lens was taken randomly, without choosing and testing a couple of items.